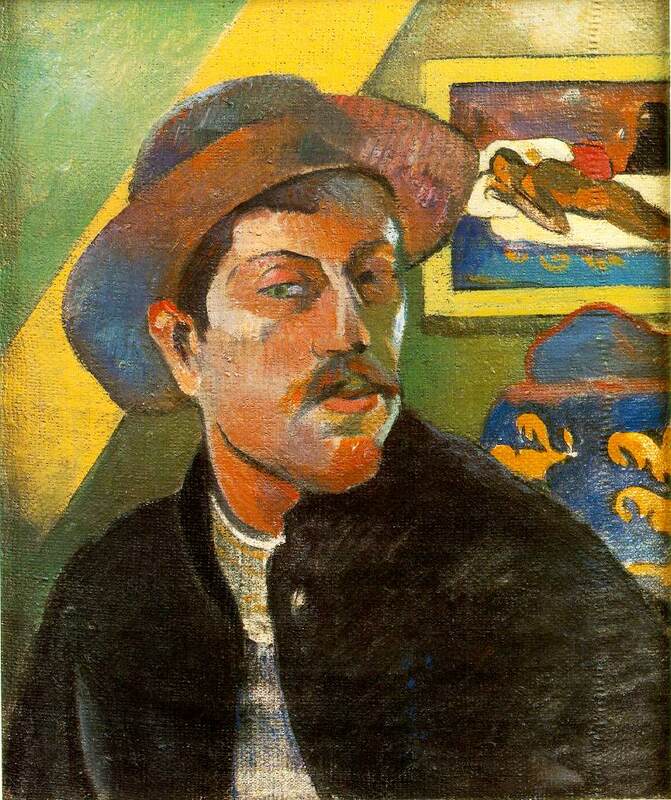 Gauguin, (Eugène-Henri-) Paul (b. June 7, 1848, Paris, Fr.--d. 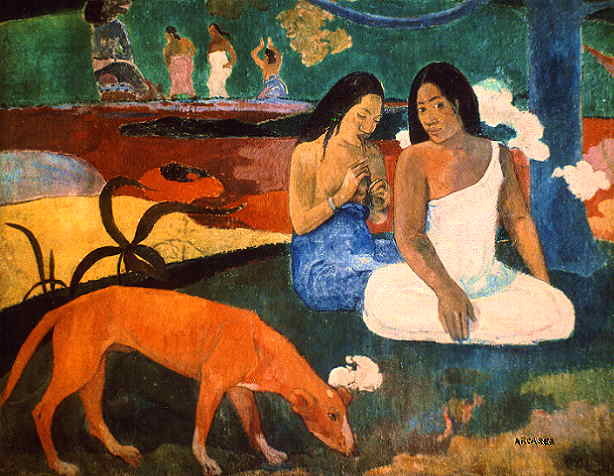 May 8, 1903, Atuona, Hiva Oa, Marquesas Islands, French Polynesia), one of the leading French painters of the Postimpressionist period, whose development of a conceptual method of representation was a decisive step for 20th-century art. 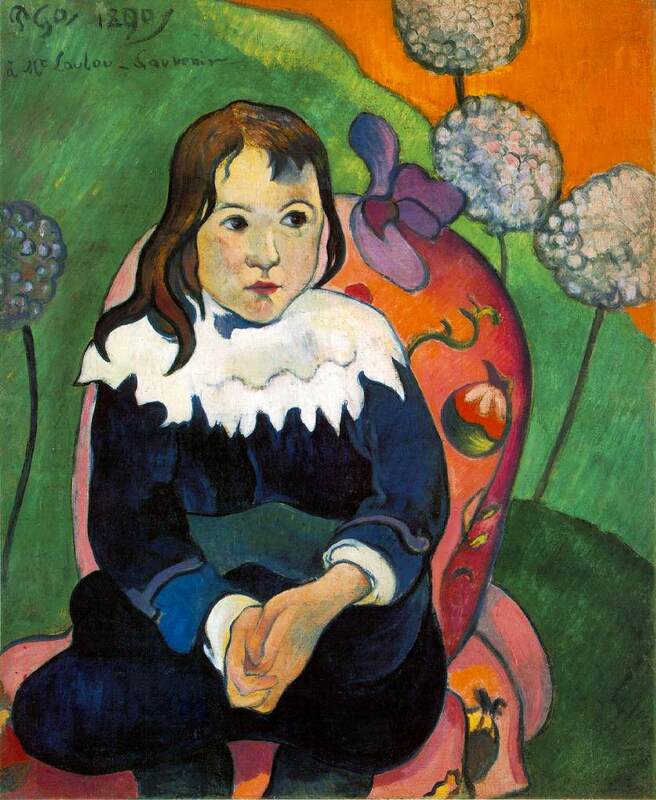 After spending a short period with Vincent van Gogh in Arles (1888), Gauguin increasingly abandoned imitative art for expressiveness through colour. From 1891 he lived and worked in Tahiti and elsewhere in the South Pacific. 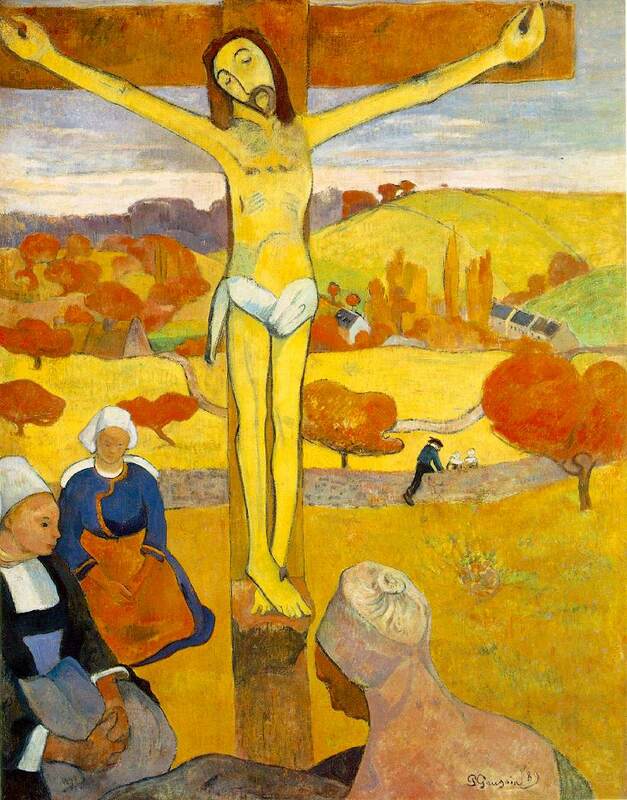 His masterpieces include the early Vision After the Sermon (1888) and Where Do We Come From? What Are We? Where Are We Going? (1897-98). 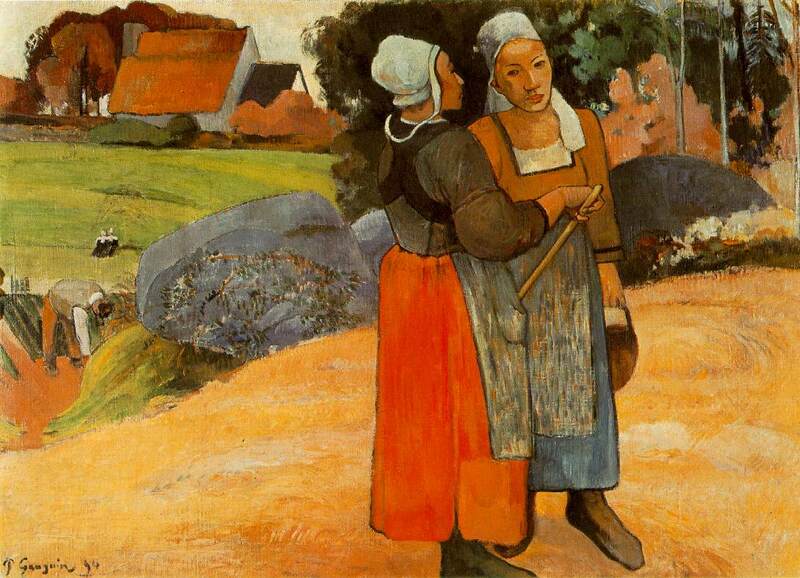 Although his main achievements were to lie elsewhere, Gauguin was, to use a fanciful metaphor, nursed in the bosom of Impressionism. His attitudes to art were deeply influenced by his experience of its first exhibition, and he himself participated in those of 1880, 1881 and 1882. The son of a French journalist and a Peruvian Creole, whose mother had been a writer and a follower of Saint-Simon, he was brought up in Lima, joined the merchant navy in 1865, and in 1872 began a successful career as a stockbroker in Paris. In 1874 he saw the first Impressionist exhibition, which completely entranced him and confirmed his desire to become a painter. He spent some 17,000 francs on works by Manet, Monet, Sisley, Pissarro, Renoir and Guillaumin. 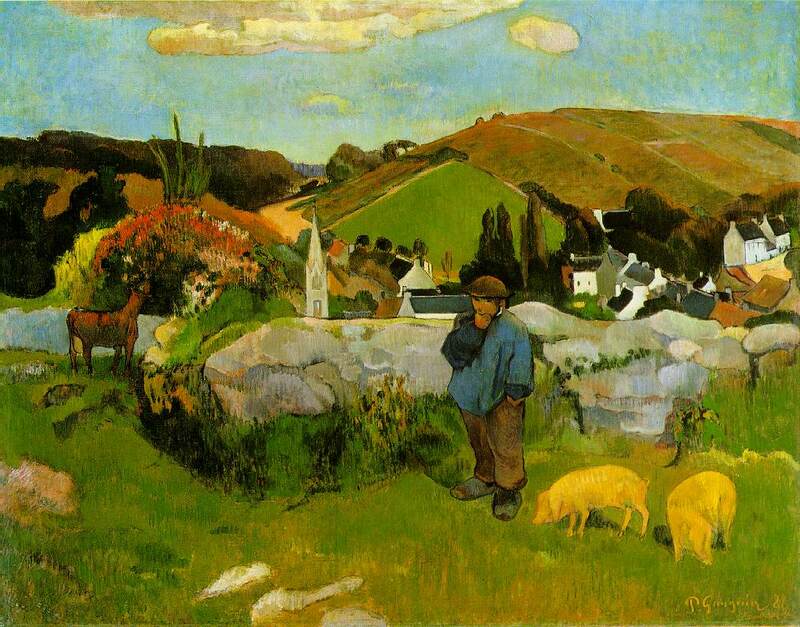 Pissarro took a special interest in his attempts at painting, emphasizing that he should `look for the nature that suits your temperament', and in 1876 Gauguin had a landscape in the style of Pissarro accepted at the Salon. In the meantime Pissarro had introduced him to Cézanne, for whose works he conceived a great respect---so much so that the older man began to fear that he would steal his `sensations'. All three worked together for some time at Pontoise, where Pissarro and Gauguin drew pencil sketches of each other (Cabinet des Dessins, Louvre). 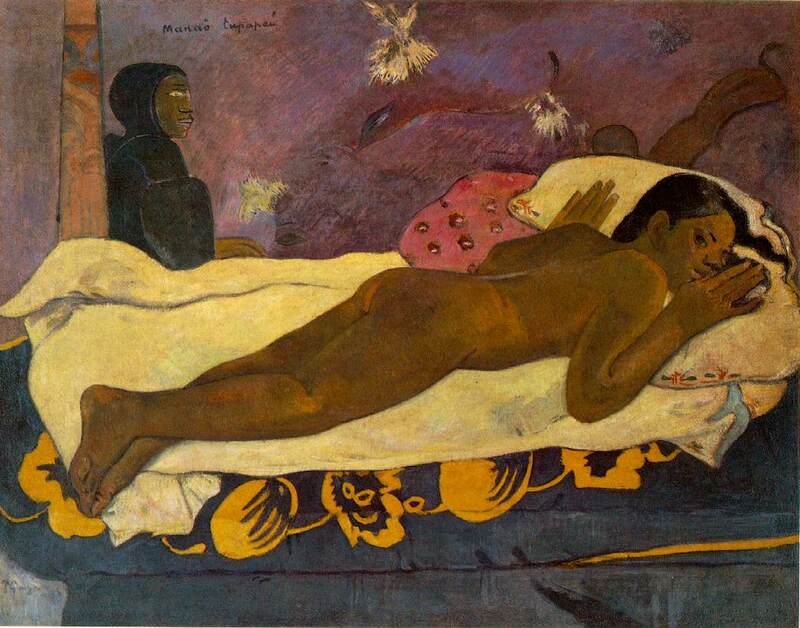 In 1883-84 the bank that employed him got into difficulties and Gauguin was able to paint every day. He settled for a while in Rouen, partly because Paris was too expensive for a man with five children, partly because he thought it would be full of wealthy patrons who might buy his works. Rouen proved a disappointment, and he joined his wife Mette and children, who had gone back to Denmark, where she had been born. His experience of Denmark was not a happy one and, having returned to Paris, he went to paint in Pont-Aven, a well-known resort for artists. Here, he stopped working exclusively out-of-doors, as Pissarro had taught him, and generally began to adopt a more independent line. 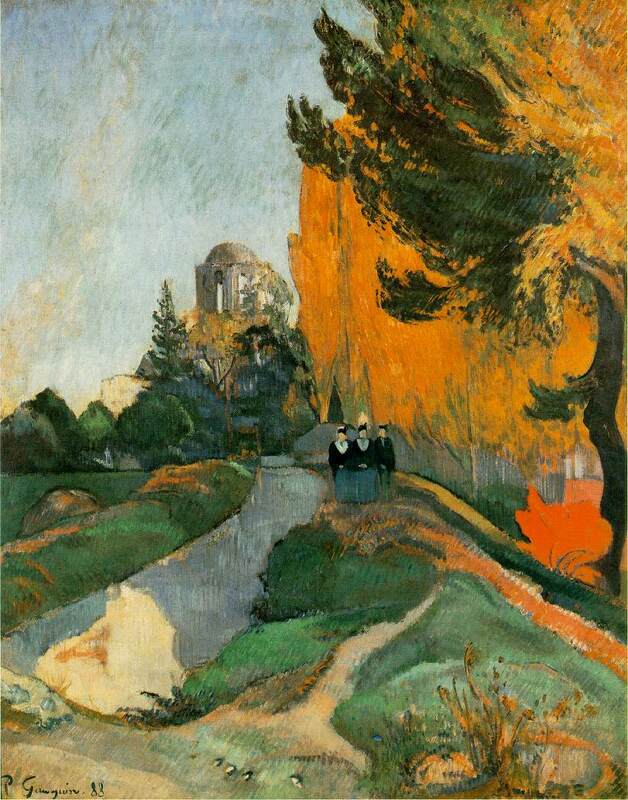 His meeting with van Gogh, the influence of Seurat, the doctrines of Signac, and a rediscovery of the merits of Degas--especially in his pastels--all combined with his own streak of megalomania to produce a style that had little in common with the thoughtful lyricism of the work of his erstwhile mentor Pissarro. Monet confessed to a liking of his Jacob Wrestling with the Angel (1888; National Gallery of Scotland), which he saw at the exhibition Gauguin organized in 1891 to finance his projected excursion to places where he could live on `ecstasy, calmness and art'; the proceeds amounted to 10,0000 francs, some of it coming from Degas, who bought several paintings. There were still evident in these new works traces of pure Impressionism, and of the very clear influence of Cézanne (as in the Portrait of Marie Lagadu , 1890; Art Institute of Chicago)--a fact pointed up by a Cézanne still life owned by Gauguin which is shown behind her--but basically this period marked the parting of the ways between Gauguin and Impressionism. 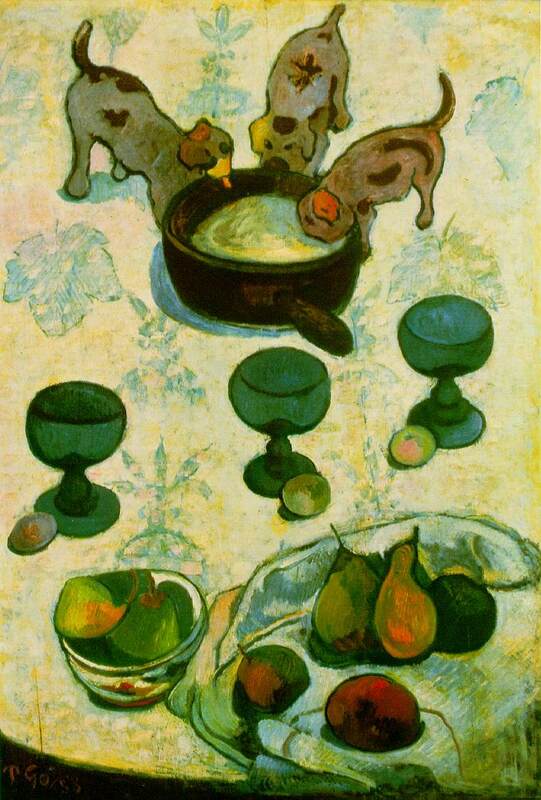 Gauguin's art has all the appearance of a flight from civilisation, of a search for new ways of life, more primitive, more real and more sincere. 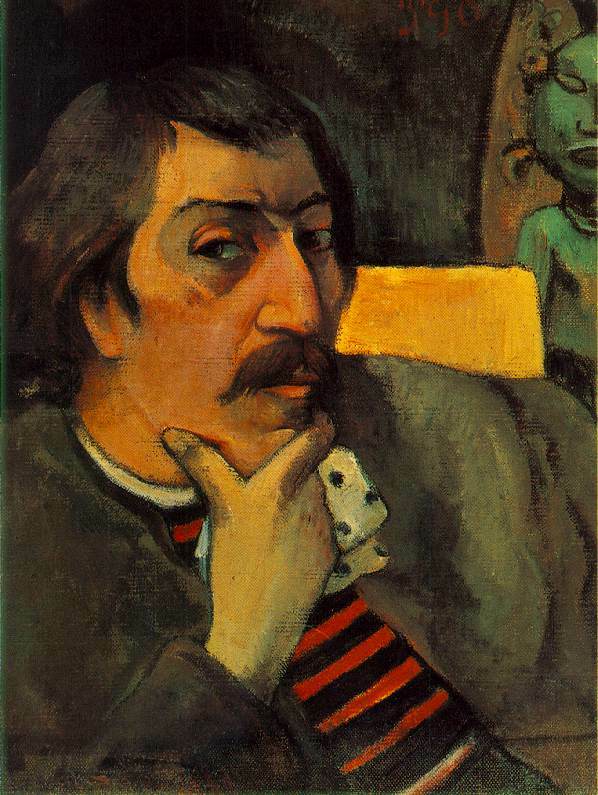 His break away from a solid middle-class world, abandoning family, children and job, his refusal to accept easy glory and easy gain are the best-known aspects of Gauguin's fascinating life and personality. 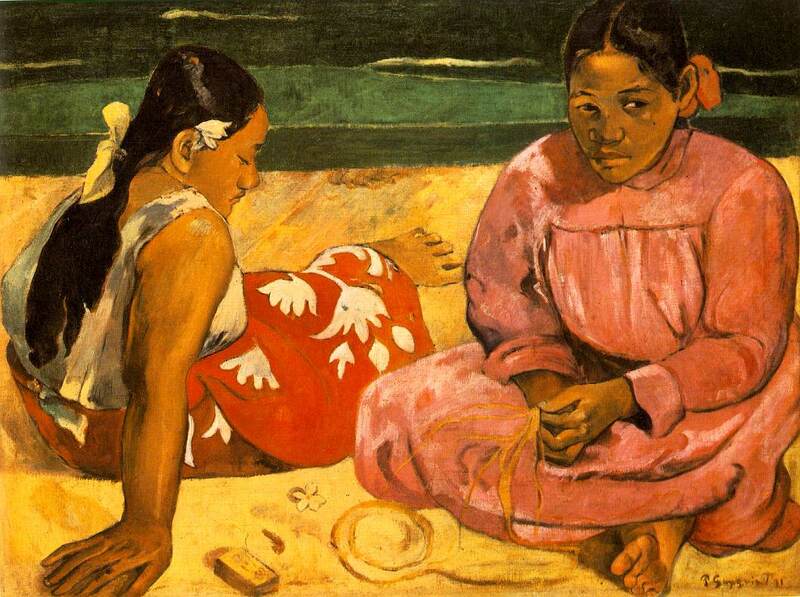 This picture, also known as Two women on the beach , was painted in 1891, shortly after Gauguin's arrival in Tahiti. 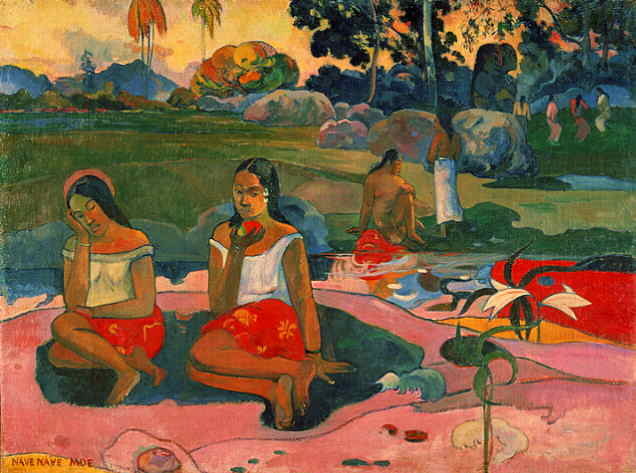 During his first stay there (he was to leave in 1893, only to return in 1895 and remain until his death), Gauguin discovered primitive art, with its flat forms and the violent colors belonging to an untamed nature. And then, with absolute sincerity, he transferred them onto canvas.